How long does it take to bike 10 miles? Recreational cyclists who're just out for a bit of fresh air and fun should expect to cycle 10 miles in anywhere between 45-70mins. Expect to be quicker on a road bike and a little slower on a ﻿hybrid. In comparison, the Tour de France guys can average between 25-28mph on flat terrain. Meaning it would take them a little over 20mins of cycling to cover 10miles! As it's probably unlikely that any of us will be getting to those speeds anytime soon, I like to use the calculation below as a rough guide. 10miles in 1hr is a leisurely cycling pace that allows you to enjoy the scenery at the same time. I also find it's a good way to quickly plan out a route if I know I'm off out somewhere later on in the day. Eg I used to cycle 10 miles on my commute to work and would give myself roughly 1hr from leaving my front door to being sat in my office chair. To be even more specific you can give yourself 6mins for every mile. Click here if you'd like to know many calories you burn per mile of cycling. Your overall fitness will have a big impact on the time that it takes you to cover the distance. As a beginner, 10miles may be too far. Just take it steady and slowly increase the mileage as the weeks go by. Check out this great training plan to get you cycling 30miles by Cancer Research or take a look at my cycling specific ﻿﻿kettlebell﻿﻿ workout! 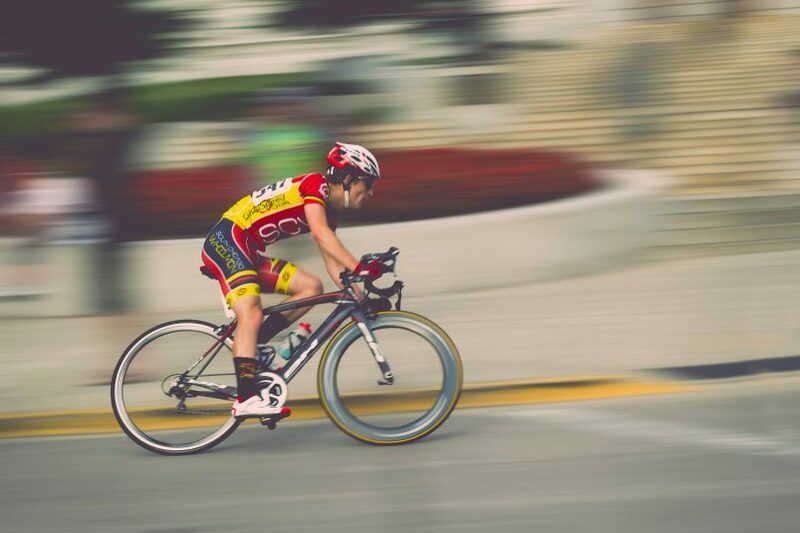 The type of bike will also make a huge difference to the speed in which you're able to cover a certain distance. The sixthreezero cruiser you got for the summer months will be much, much slower than your brand new carbon. You'll also want to make sure your bike is tuned up nicely and fits you well. I once had a bike that wasn't set up properly, and it gave terrible knee pain. The type of gear you're using will impact how quick you are. The guy on the left may have a lot of potential. 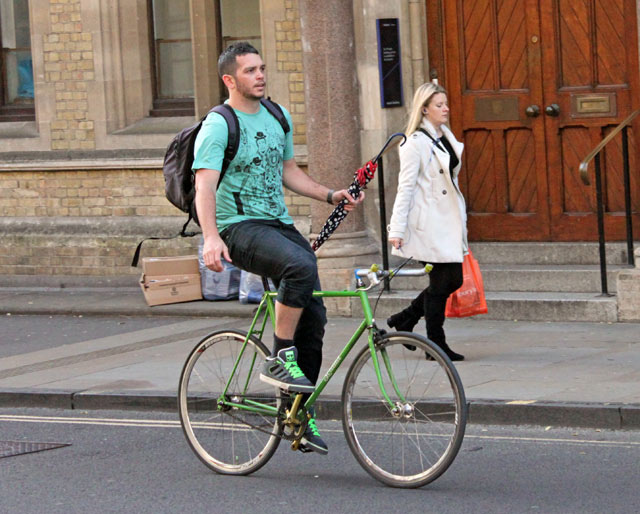 But with his current clothing set-up, it's unlikely he'll be going anywhere fast! It goes without saying that a smooth bit of tarmac will be easier to ride on than the mountain bike trail in your local ​forest. Boggy, sticky mud can be a nightmare to try and get the bicycle through, adding many extra minutes onto your time. Another significant influencer will be the weather. The weather can affect you in two ways, you'll either be flying along with a nice tailwind behind you, or you'll be virtually at a stand still as you battle horrible headwinds! 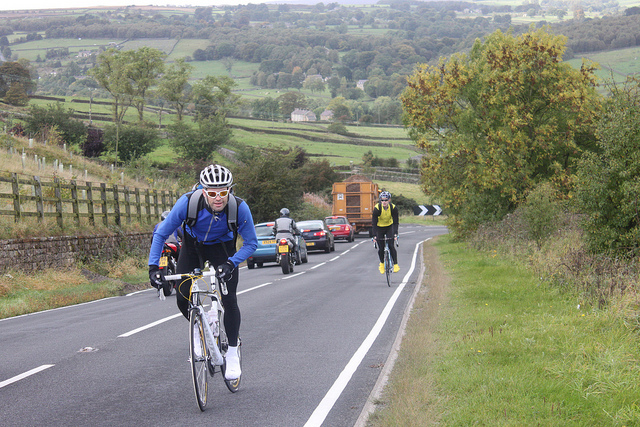 With our simple calculation, how far can you cycle in a day? Well. Once summer I was lucky enough to go on an adventure where I cycled over 2000km across Europe​. At the start of that journey, I was very unfit. (No preparation and too much partying before I left)! So the first few weeks I struggled to cycle over 30 miles a day. With practice, I got stronger and stronger until I was able to cycle over 100miles on two separate occasions. 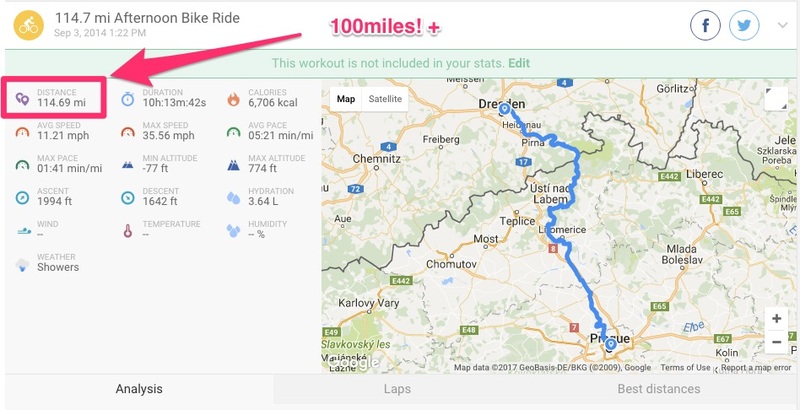 On one of these occasions, I cycled 114.9miles from the Prague in the Czech Republic to Dresden in Germany! It took me just over 10hrs of cycling to cover that distance. I cycled an average of 11.21miles per hour. So I guess I had the wind behind me! I don't have many tips to give you other than make sure that you eat as much as you can. Carbs are essential but so are ﻿things like protein. Especially if you're looking to recover quickly. Stay hydrated, but most of all just keep turning those pedals! So, how long does it take to bike 10 miles? Well, there's no real answer to give you other than to test! Pretty much all cyclists are secret data nerds that love to look at the numbers of their favorite rides. Take a look at Strava if you haven't had the chance already. I also find taking a look at the figures to be a great motivator as well. So, see how long it takes you to ride your favorite route on your old bike, and then see how long it takes on your nice new racer! See how long it takes to cycle your favorite route in the sun, and then torrential rain! And see how long it takes you now that you're 30lbs lighter! If you're looking for some cycling inspiration, here's a video by Of Two Lands. It shows a guy who's still going strong, and he's in his 80s! What a hero!